Read: What exactly is wrong with BBPAG, and why are people protesting? In the backdrop of growing criticism over the formation of Bengaluru Blue Print Action Group (BBPAG), Citizen Matters spoke to some of the members of the Action Group. They spoke about their previous experiences in committees and the relevance of the Action Group over the constitutional body – Metropolitan Planning Committee (MPC). I think every Vision Group has been able to drive change and achieve a few milestones. Bangalore Agenda Task Force (BATF) did have a strong influence on the planning and outcome measurement process. A number of initiatives such as online payments, self-assessment schemes were introduced. ABIDe likewise built on BATF and improved the DPR process and also introduced new designs for storm water drains, dual water piping for grey water etc. The Karnataka Tourism Vision Group (KTVG) has come out with a number of initiatives that will see a healthy surge in tourism. TenderSURE is another great initiative that came out of Bangalore City Connect partnering with the government. Civic society and the corporate sector are well aligned on city improvement and I am confident that all worthy recommendations and suggestions will be implemented. BBPAG and the MPC are not mutually exclusive – I understand that the Government will set up an MPC and will act in tandem with BBPAG in planning and policy matters. I don’t think BBPAG should become an unnecessary controversy as it brings together all individuals and groups that have been working tirelessly towards city improvement onto one platform. Eg. Jaanagraha, B.PAC, Bangalore City Connect etc. Those who are criticizing BBPAG should instead appreciate the CM’s efforts in working with various stakeholders in addressing the city’s woes. A critic even went so far as to allege that business honchos on this Vision Group will put business interests ahead of the city’s interests! This is an outrageous comment. If the desire to have better roads, better mobility and a cleaner city are what he means, then he must think again as aren’t these what every citizen wants? As business leaders, we don’t want employees to spend three hours on the road waiting to get to work or to go home. We don’t want garbage piling up on every street and we don’t want our lakes and water bodies being polluted by sewage. Is this putting business interests ahead of citizen’s interests? With the State going to polls in two years, this committee has a short time to address complex challenges be it environment, lakes, mobility, garbage, etc. There is much to be done and we need to get down to it quickly. The jury is out on whether we will succeed in our attempt or not but we will not be wanting in terms of commitment or effort. I have been part of other committees in the past. While intentions are laudable one is frustrated when positive outcomes for the city do not happen. But when we see positive outcomes (eg. SAS, Tender SURE, Lalbagh rejuvenation, etc. of which I have been a part of) it is exhilarating. We must keep trying to make efforts to improve the city in a collaborative manner for the greater public good for all citizens. As far as the Action Group is concerned, it is quite different from the previous vision groups, as it is led by the government with civil society members. It will not simply act as an advisory board, but will focus on finding practical solutions that work. On the question of Action Group overlapping MPC, I am of the opinion that the MPC is needed in Regional (BMRDA) scale of 8000 sq kms and not at BDA scale. We need to convince the State Government to notify MPC at this scale. We have given the same view in BBMP Restructuring Committee report too. Clearly under law all planning activities should ideally be done under MPC’s oversight. But what does one do when there is no functioning MPC (even at the flawed BDA scale)? Just wring our hands and plead helplessness? In my view, entities like the Bangalore Vision Group can help with suggesting interventions at the city scale – the recommendations of such groups can be placed before the MPC ​as and when they meet. Setting up this group does not preclude BBMP from deliberating, coming up with plans, budgeting for it and implementing them. 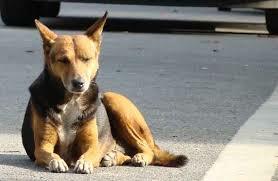 That is their primary role as civic service providers. For instance the BBMP council (or sub groups) can meet regularly (even daily) come up with solutions for the multiple problems plaguing our city like garbage, poor roads, storm water drains, flooding, public health, etc. No one is stopping BBMP Corporators from doing the right thing for the city. Effectiveness of any task force depends on the seriousness of its members. In the newly formed BBPAG each of us are very serious about the work that we do. I was the member of ABIDe during B S Yeddiyurappa’s regime. Then we were busy writing vision reports which should not recur this time. Mandate given to the new Action Group is to execute the projects and not to come up with vision reports unlike in the past. Though the Chief Minister was the Chairman of the ABIDe Task Force, he never used to attend meetings. Hence, this time we would like to make sure that the members would attend the meeting only if its chaired by the CM. Considering the minimum time we have, we would like to fix one day every month to have meetings. Also, we will plan on creating a method to aggregate the opinion of people from Bengaluru, so that no person will feel he/she is left out of the Action Group. Yes, there is a necessity to empower MPC, but that does not mean we should wait doing nothing. When a citizen faces a problem, he does not ask whether the committee that has helped to solve the problem is constitutional or not. I was a part of BATF and I was very happy in terms of citizens involvement in the Task Force. We put effort in every committee, but the result depends on the kind of project that has been planned, government policy and involvement. I was extremely satisfied with the BATF works related to public spaces, health and sanitation. One cannot call BBPAG as extra-constitutional, because it is headed by the Chief Minister himself. There is no question of lack of people’s representation as the CM represents citizens. What can be the parents’ demands to schools do ensure safety of children? Here are some lessons drawn from Vibgyor school incident. 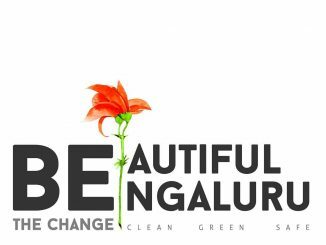 The Beautiful Bengaluru – Be the Change campaign looks to make the city clean, green and safe. The campaign kicks off with a zero-litter drive at Lalbagh from January 15th to 17th.